After another great national squad for Mia and Leah we have some exciting news . Mia had been invited as a guest for this squad which in itself is a huge honour . Our Head National Coach, Amanda Reddin announced in line up that following the British and English they had noticed that Mia had upgraded her routines and gone for the harder routines in competition. A few mistakes had occurred but with these routines in mind she had been invited to the squad to be assessed. 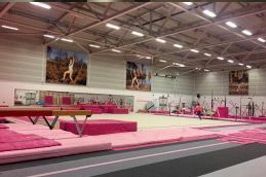 All of the national coaches agreed Mia should be given an official place on GB Junior Squad for 2017 !!!!! 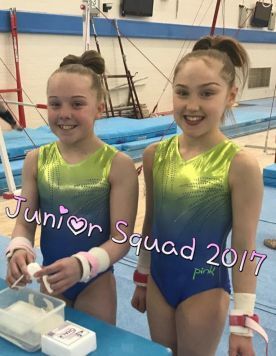 Keep up the fab work Mia and Leah you are an inspiration to our pink ladies and a credit to the club!